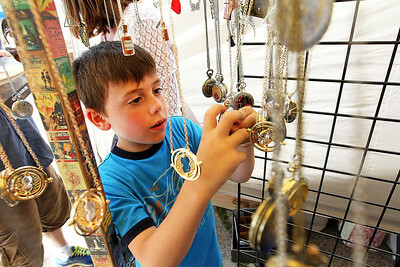 Candace H. Johnson-For Shaw Media Lucas Wertman, 8, of Lindenhurst looks at Harry Potter necklaces and pocket watches sold by Literary Alterations during the Antioch Arts & Crafts Faire in downtown Antioch. 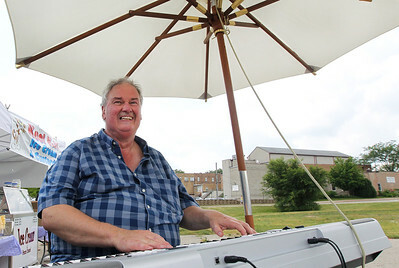 Candace H. Johnson-For Shaw Media Steve Porch, of Antioch, director of the Lakes Area Community Band, plays his keyboard next to the band's food tent during the Antioch Arts & Crafts Faire in downtown Antioch. 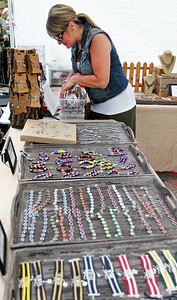 Candace H. Johnson-For Shaw Media Joanie Michalski, of Antioch with Jems by Joanie, looks through her snaps for a customer during the Antioch Arts & Crafts Faire in downtown Antioch. Candace H. Johnson-For Shaw Media Tracy and Andy Bucaro, of Huntley sit in their Woodworking from the Heart booth during the Antioch Arts & Crafts Faire in downtown Antioch. 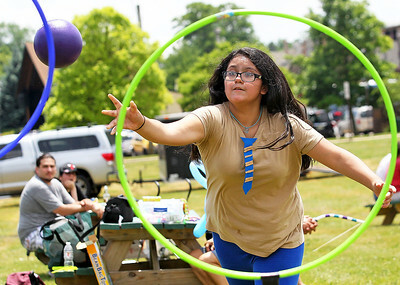 Candace H. Johnson-For Shaw Media Alani Arroyo, 11, of Waukegan plays a Quidditch game during the Antioch Arts & Crafts Faire in downtown Antioch. The game was sponsored by the Northbridge Church in Antioch. 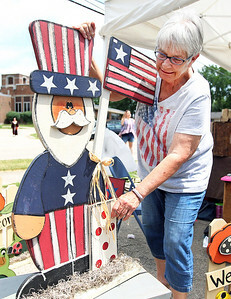 Candace H. Johnson-For Shaw Media Amy Roberts, of Wildwood adjusts the yard art in her booth during the Antioch Arts & Crafts Faire in downtown Antioch. 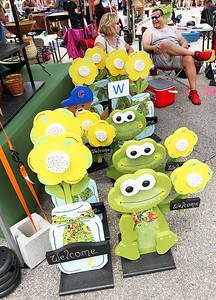 Candace H. Johnson-For Shaw Media Cindy Erexson, of Lake Villa looks at a crochet bouquet made by Marie Becker with Marie's Crochet Bouquets during the Antioch Arts & Crafts Faire in downtown Antioch. 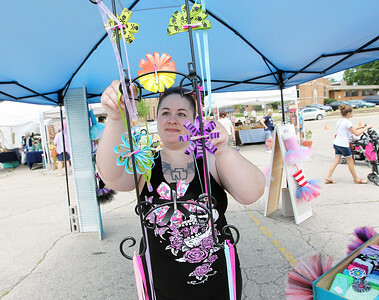 Candace H. Johnson-For Shaw Media Erin Booth, of Antioch with Once Upon A Time, hangs up her Fairy Dust necklaces she had for sale during the Antioch Arts & Crafts Faire in downtown Antioch. 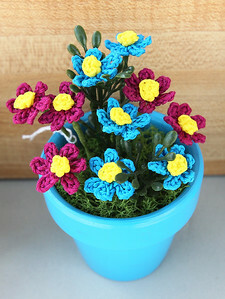 Candace H. Johnson-For Shaw Media A crochet bouquet made by Marie Becker, of McHenry with Marie's Crochet Bouquets was on display for sale during the Antioch Arts & Crafts Faire in downtown Antioch. 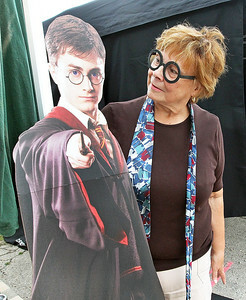 Candace H. Johnson-For Shaw Media Bonnie Adriansen, of Antioch, lead minister of God's Will Resale, looks at a Harry Potter cut out board during the Antioch Arts & Crafts Faire in downtown Antioch. 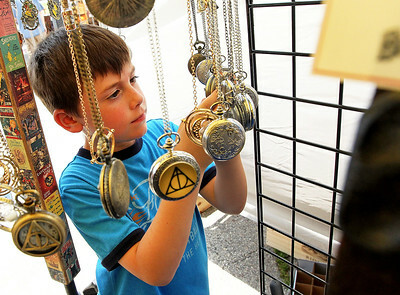 The reference to Harry Potter was connected to the Wizards Weekend in Antioch. 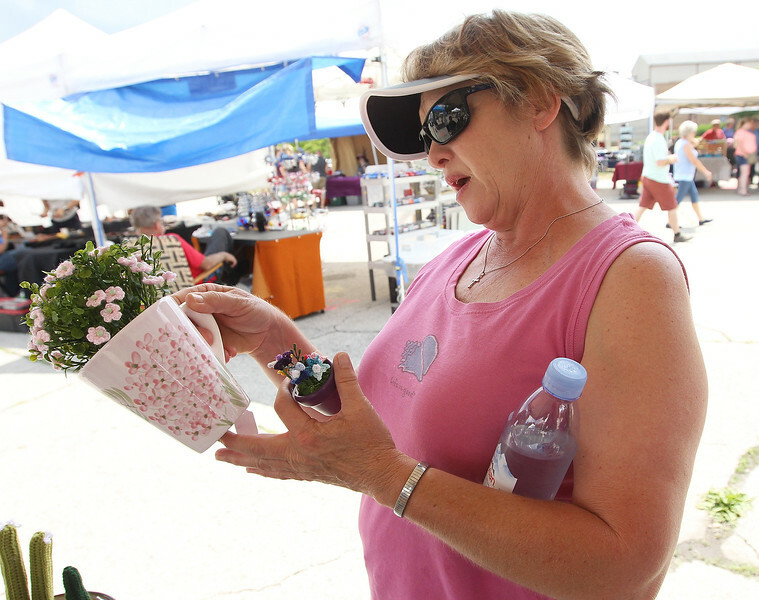 Cindy Erexson, of Lake Villa looks at a crochet bouquet made by Marie Becker with Marie's Crochet Bouquets during the Antioch Arts & Crafts Faire in downtown Antioch.